The hope is to use the all-star break to help Hernandez get his ailing back healthy. 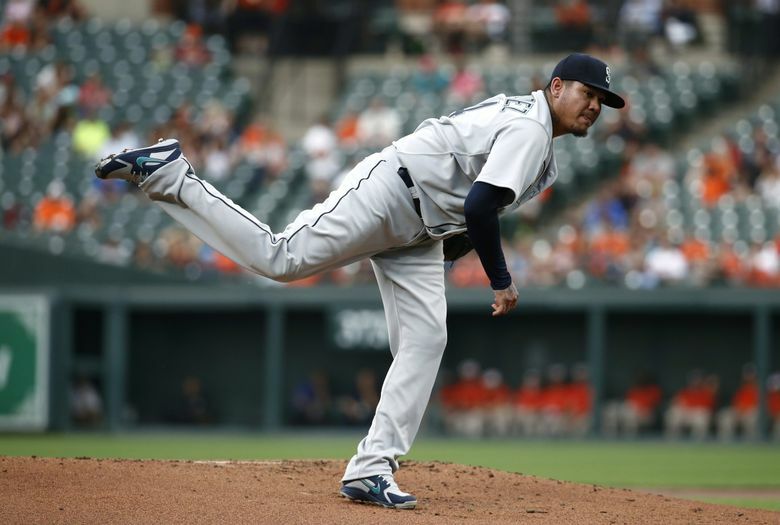 ANAHEIM — Felix Hernandez won’t make another start until after the All-Star break. The Mariners’ erstwhile ace has been dealing with lower back issues the last few outings since tweaking it in a workout in Baltimore. On Tuesday, he was placed on the 10-day disabled list, retroactive to his previous start Friday. With the All-Star break coming up, the Mariners decided to use it to their advantage, shutting him down now in an effort to get Hernandez’s back healthy and ready for the second half of the season. Hernandez, 32, is 8-7 with a 5.13 ERA (60 ER, 105.1 IP) in 19 starts with the Mariners this season. His 19 starts are tied for most in MLB. While the pain didn’t stop him from pitching in last two starts, the back issues wouldn’t allow him to do his work in between starts. And was starting to become an issue. As of now, Hernandez’s scheduled start on Thursday is listed as “To Be Announced.” With the off day on Monday, the Mariners could pitch James Paxton on Thursday on normal rest. But they will call up a starting pitcher to make a start on either Thursday or Friday. The Mariners recalled right-hander Nick Rumbelow from Class AAA Tacoma to take his spot on the roster. Hernandez was scheduled to pitch on Thursday vs. the Angels, but the Mariners will likely use a spot starter instead. Seattle also made another roster move, optioning outfielder John Andreoli to Class AAA Tacoma and recalling infielder Gordon Beckham. With interleague games coming up in Colorado, Beckham’s versatility could be useful. Andreoli isn’t need with Mitch Haniger back to full health.